I don’t think I need to remind anyone that having good work habits are important during the stressful holiday season. As online marketers, the holiday season is often the busiest time of the year with promotions, holiday sales, and pressure to close the gap as the fiscal year ends. Meanwhile, the days get shorter and colder and we find ourselves sitting in pitch dark rooms, staring at spreadsheets unblinkingly while wearing three sweaters (and maybe a beanie), a few empty coffee cups before us. Winter can be, in a word: Stressful. Problem: “I’m freakin’ stressed, man.” Solution: Work Smarter, Not Harder. But how do we make our working lives more efficient? The following tips will help. There’s no need to do your work by hand anymore, with the wide variety of automation tools to make your life easier. This holiday, consider using Hanapin’s painless promotion management and let your labels, automated rules, and scripts do the hard work for you. There is no better feeling than logging into your email on Black Friday and seeing a ton of unread email confirmations that read, “Your Automated Rule Ran with 2,569 changes”. It looks like winning to me. I don’t trust my memory for anything, so I always drop notes on when to check deadlines or when new tests are due into my work calendar, with email reminders turned on. This way, I never lose track of recurring tasks. It also works great across teams to schedule “all day” tasks with email reminders in place, so nothing ever gets lost. 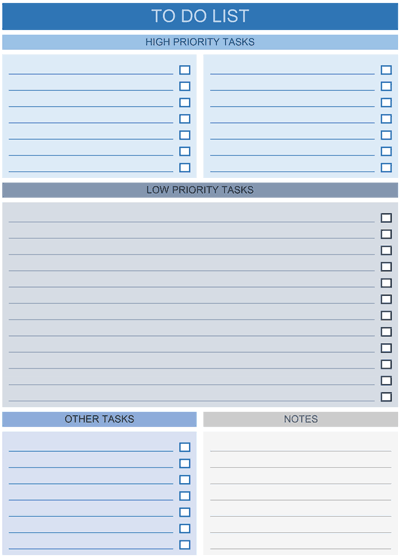 This technique works especially well for recurring weekly or monthly tasks. Try to give yourself every reason to happily forget a task because the reminder is stored safely with a smart system that will handle it for you. Or at the very least, let your system be a task-master and disallow you from letting the task slip away without the prod of reminder from an automated system. Always give yourself a deadline, and if there is a particular task you’re dreading, try to do it first thing in the morning when you’re fresh and caffeinated (and when you haven’t had the time to start dreading it.) This is a technique known as “Eat The Frog”. 3. Realize that Nothing Lasts Forever, & Appreciate How Far You’ve Come. When I’m staring down a large new task, I often forget to step back and consider the big picture. When was the last time you looked back at that old quarterly presentation to see just how many of the new exciting ideas you put into place? If you haven’t had a moment to look back, the end of the year is a good time to do so. Consider what successes you’ve seen that you’d like to expand or push more budget into. Maybe you saw some big wins on the display side, or maybe you discovered that your remarketing lists are having great success because of some brand new segmentation. Keep a journal of what you’re proud of, events that were notably positive, or start a kudos file to gain confidence when the going gets rough. Use these notes to assess what went well this year. Set a date of when you’d like to start your new initiatives or continue your successful efforts, and remember it’s just as important to set a deadline as a launch date. Take comfort that the initiatives you’re stressing about today are things you may not remember in a year (or 5 years, or 10 years) from now. It’s business, it’s not not personal. Well, it isn’t personal until you wake up in the middle of the night, wondering if you really did apply that coupon code to your client’s merchant center with the correct sale dates. Work is inherently personal. It can get your heart racing during a call or answering an email, or as you hurry to make campaign changes. If you have a team, delegating your work can help take the stress off quickly. You aren’t a superhero. You don’t need to do every little thing. Take time to decide which tasks could be better suited for another team member, so you can focus your energy on what you do best, or one what only you can do. I learned this lesson well in an old food service job, where I worked as a catering manager. Quickly I learned that I could not physically make every sandwich, especially when 650 box lunches are due by 11am. I could wake up at 3am, get to the cafe at 3:30, and still not get the work done. So, don’t make every sandwich. Ask your co-worker to pull some vital data for that upcoming meeting. If you aren’t sure what strategy to take to prevent a future mistake from happening again, reach out to your team or your boss for advice. If you find yourself working on search query reports when you should be making search volume estimates, decide to let someone else take on the menial tasks and focus on what you’re good at, and the work you deserve to be doing. We all have a tendency to fall into patterns of safe, cozy, menial work. But as you move into the manager position, you cannot afford the luxury of doing work that someone else could do just as well. Even asking for a second opinion can be useful when you’re uncertain of the direction in which you’d like to proceed. 5. A List of Stress Relieving Tools & Resources for the Holiday Season and Beyond! Write or Die: An app that makes terrible noises when you stop writing, great for blog post or report writing! The Pomodoro Technique (which I’m using right this moment as I write) with the Tomato Timer desktop page or free Focus Keeper app. Using the Pomodoro method is killer for my report writing, which allows me to tightly focus on tedious tasks and get them done faster and with less distractions. Habitica: For nerds that like to earn new pixellated swords for completing daily tasks, habits, and personalized To Do lists. I love to use Habitica since I work from home and at times will forget to take a walk outside or eat a vegetable every day. Headspace, a wildly popular guided meditation app that has the first 10 sessions for free. Do Nothing for 2 Minutes: Great for recharging between Pomodoro sessions, and really difficult at times! Ambient-Mixer.com – another adventure based sound mixer. “Happy Light”, Light Therapy lamps have been a game-changer for my workspace as the days get colder and darkness falls earlier, and they’re scientifically proven to help ease seasonal depression that is brought on by lack of natural light in the winter. They are proven to positively affect your mood. I like to combine mine with twinkle lights for the ultimate cozy desk space. Tea such as Tension Tamer, peppermint, camomile, Tazo Zen tea for the perfect combo of wake up caffeine and minty calmness. Fidget friends like the classic Bug Out Bob stress ball, slinky, fidget spinners, fidget cubes, or in my case one of my trusty Rubik’s cubes. Remember to rest, and have a very happy holiday season, digital marketing manager friends!